Occasional special events, variety entertainment. Customized catering menu per clients request. 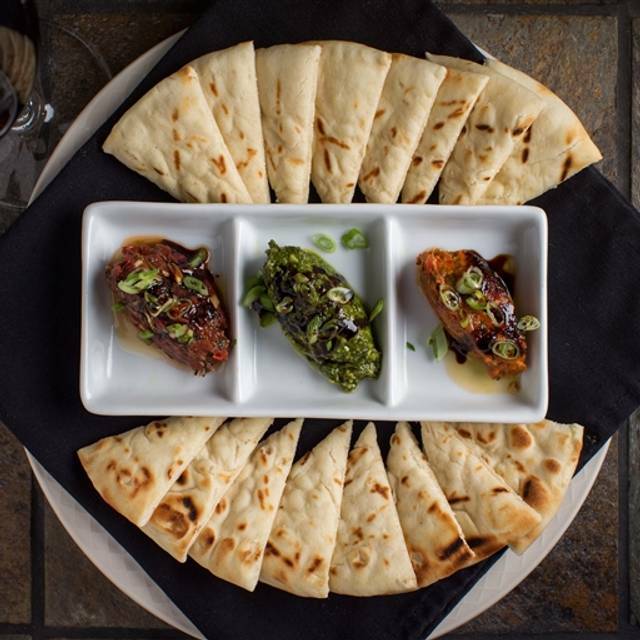 Dining at the Goldmoor is an experience in and of itself. 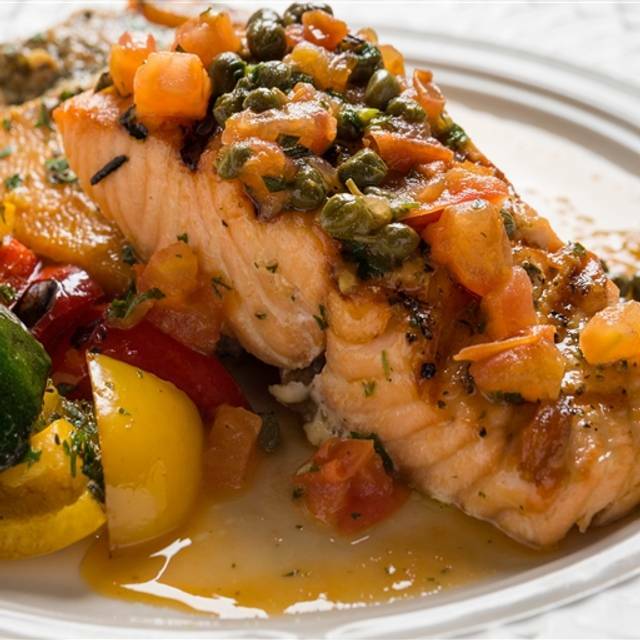 When you dine with us, you can expect the best of both worlds – warm, inviting service that is characteristic of the bed & breakfast experience combined with the elegance and refinement of fine dining. Recently received the prestigious 2017 Hall of Fame Certificate of Excellence from Tripadvisor. Unmatched Old World decor, a diverse wine cellar, and premier personal service are all complemented by our chef"s creative cuisine. 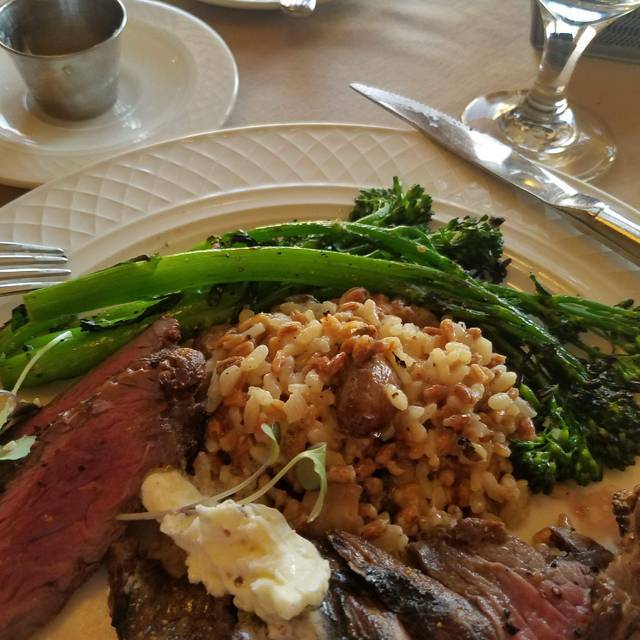 Enjoy dining in one of our cozy booths, elegant tables with breathtaking views overlooking the Mississippi River or our interactive Chef's Table. Gorgeous view at sunset - Overlooking the river, birds at the feeders and other animals scooting by. Filet Mignon was one of the best I've ever had - absolutely incredible. Wife's Salmon also very good. Great ambiance. Views of the river. Wonderful personalized service ..... and the food A+. We had the lamb popsicles for a starter, duck breast and scallops and crab for entree. All were done to perfection. First time visitors and will be returning. Very welcoming. Showstopping river view and sunset. Very engaging proprietor. What a great restaurant find in the country outside of Galena. The food was fabulous. I had the beef wellington which was delicious! The wine selection was decent. We loved the food and location just a few things with service that could be better to make it more high end and total 5 star. Incredibly overpriced for the quality of the food. If I’m paying $50 for a steak, I expect it to be on par with a high end steakhouse. It did not even come close. Always a great experience. Well appointed and intimate dining experience with accommodating hosts and staff. I came here with my wife for a special occasion. It was off season so it was slow on a Saturday. It was perfect for us this evening! The service was great, Ashley was our server. The food was delicious. It is definitely $$, but worth it. We had a great table with a view, great service, and awesome food. We will be back again. We had a wonderful time at Goldmoor Restaurant!! I had the Beef Wellington and my husband had the Braised Lamb and they both were perfection! The ambiance and music was lovely while looking over a very scenic and snowbwhite Mississippi River. Server Ashley and owner Birgit were very accommodating! We can’t wait to come back! Excellent romantic evening ! Service was wonderful. Food was delicious and presented well. Really enjoyed the evening. We will return the next time we’re in Galena. A very nice & cozy supper club/fine dining experience. The menu is small. Steaks were flavorful & done as ordered. Salted caramel cheesecake delicious with a memorable presentation. Atmosphere was almost too quiet. More on the pricey side. Had a great meal. The service was prompt and friendly. Food was great. Went here for our 25th anniversary. When making the reservation I mentioned that it was a special occasion but there was no mention of it upon our arrival or during the meal. We picked the Goldmoor for its closeness to a Chestnut ski resort. Showed up for a late dinner after the slopes closed with our teenage sons. They’d held the kitchen open for our reservation so we had the whole restaurant to ourselves. The property is magnificent (we felt way under-dressed in post-ski attire, but they didn’t bat an eye!). An unexpected oasis of European elegance in a rural setting. The food was impressive. They handled one of our party’s food allergies with grace and creativity. The owners stopped by the table and were delightful (fun conversation but not hovering). It was a memorable meal! Cannot wait to go back as a couple for an intimate get-away. Goldmoor is a fine restaurant and we always love going there! This was our 5th time to dine at this wonderful eatery. It is located a few minutes outside of Galena but is well worth the small effort needed to get there. Friendly, quiet, atmosphere along with fine service and wonderful food. Just a note of caution, the Goldmoor is open only for the evening meal unless one is a guest in the resort. Overpriced. $185 for 2 appetizers, 2 dinners, 2 waters and tip - NO alcohol. We’re from Chicago and prices were on the high end of Chicago prices. The food was good but not exceptional. The ambiance was sterile, nothing interesting. Beautiful location. Attentive service. Was there for my 50th. 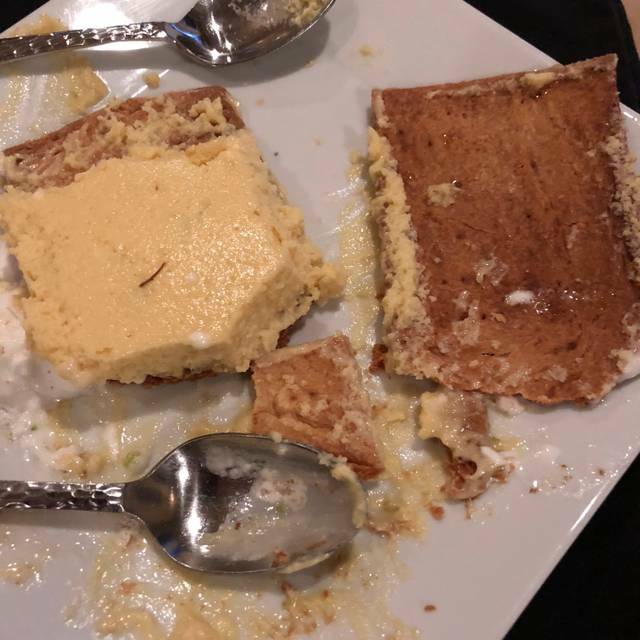 Only miss was that they didn’t bring a little birthday dessert.... not that it’s expected, but this was a 50th and dinner was very expensive. Food was excellent. Very special we enjoyed food and location for our Birthday gathering! Fabulous place all around! Great food, service and atmosphere! Celebrated a birthday and had the best service (thank you Heather)! The food was tasty, but the staff were running around and stressed out, despite the restaurant not being full. So while it tasted good, the experience wasn't very special and it was quite pricey. We’ve traveled hours (7) each way for the fine food and service. The chef is tops and creative. Fresh and delicious cuisine. Their view is outstanding. We always make arrangements for an overnight or two. Don’t miss it. Outstanding for a get away or weekend stay. We went to the Goldmoor Inn for our Anniversary and it was exceptional. The service and the food were fantastic. We sat at a table overlooking the Mississippi River and watched the perfect sunset. In fact, it looked like every table overlooked the River. I can't wait to go back. Next time, I would like to stay overnight there as well. Great Job! Goldmoor definitely lived up to it's reputation and if you get a chance, make reservations and go there for dinner. The service was wonderful, the food outstanding and the wine was delicious. This is fine dining at it's finest! Great food. Needs real bar. Not make shift bar. Otherwise food and staff perfect. View was perfect! 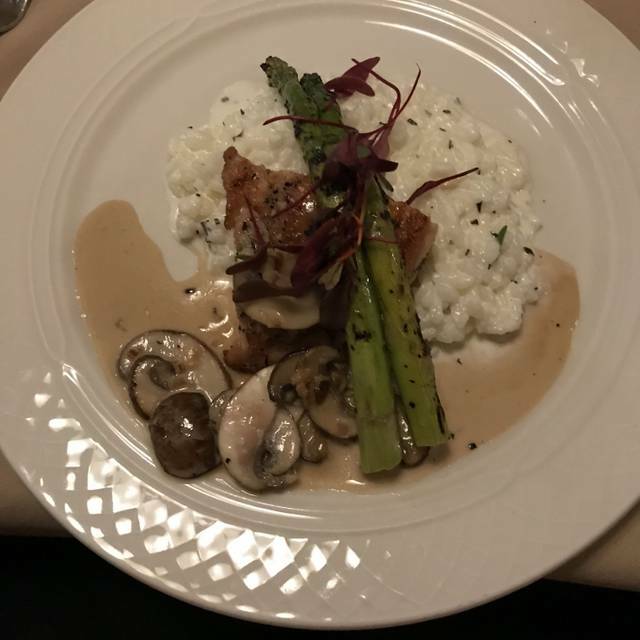 My husband and I enjoyed a delicious dinner at the Goldmoor in while on a little get-away trip. Not the appetizer (bruschetta with crabmeat) and the entree were outstanding. We will go back anytime we are in the area. Lanb shank was great, but the potato on the side was only alright. Very beautiful surroundings and resort views. Excellent service (Chris was great). Solid choice for a romantic dinner. I read the reviews before we came here for our anniversary and they did not disappoint! The honey lavender butter was absolutely amazing. The staff was incredibly friendly and the food was delicious. Very quiet atmosphere with beautiful views. 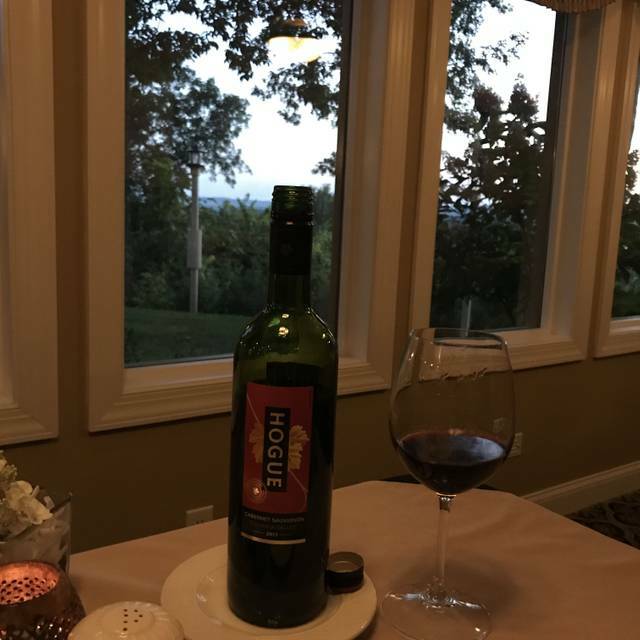 My wife and I thoroughly enjoyed our dinner at the Goldmoor Restaurant in September. This truly was a fine dining experience, but the pleasure went beyond the tasty cuisine. The wooded yet clear view of the Mississippi River was beautiful, and the setting sun made it even more spectacular. During our meal the owner, Slobo Radin, came up to our table to welcome us, and we had a brief but pleasant conversation. Slobo and his wife, Birgit, are very personable. As for the meal, my wife ordered filet mignon, which was grilled to perfection. I had Goldmoor’s classic Beef Wellington, which was delicious with an outstanding presentation. Yes, this is a pricey restaurant, but we received our money’s worth and more. This has become one of our best dining experiences! Tucked away and overlooking the Mississippi, the sunset is a must see. 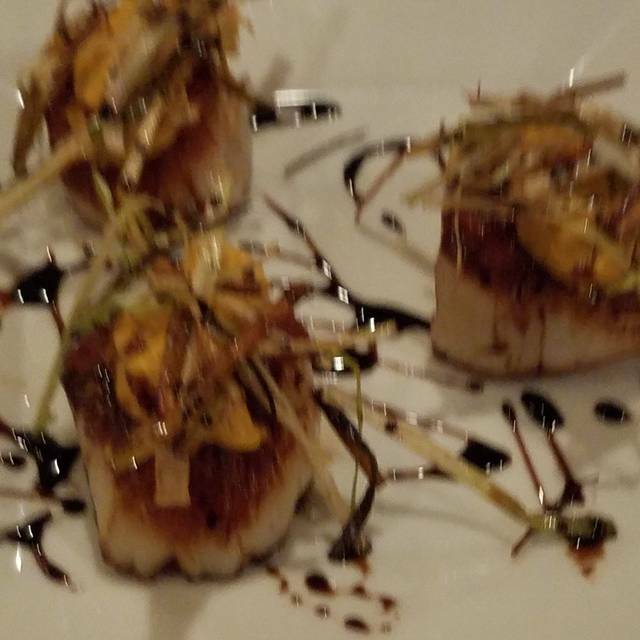 Our food was absolutely cooked to perfection with the wait staff and owner making sure we are enjoying our evening. This is special and we will definitely come back! I recently perposed and went here for dinner. Quite honestly, it couldn’t have been more perfect. The steak and salmon were the best we’ve ever had. We went here for our anniversary dinner. it was absolutely perfect. From the view outside to the inside decor. our dining experience couldnt have been any better. From the food to service, Perfect. Even making sure there wasnt too much sun coming in on us. We wanted the view so we left the shade open. Awesome!! Our food was decent. My wife found her meal to be overly salty, my meal was very good. The cocktails we ordered were well prepared. The view was very nice overlooking the Mississippi with a beautiful sunset. The ambiance was a little too quiet for how close together the tables were. The music needs to be louder or there needs to be white noise pumped in, everyone could easily overhear each other’s conversations without any intention to. Finally we were disappointed there was not bar for a pre or post dinner drink. There physically is a bar, but there were no bar stools and no bar tender. Overall we enjoyed ourselves, but this is a bit more supper club than fine dining. Food and service were outstanding. Had the beef Wellington and salmon. The salmon was presented in a pastry, much like the beef Wellington. Had a pear crisp after dinner for a great ending. We will go back. The food, service and overall ambience of The Goldmoor is always excellent. The personal attention paid to everyone by the owners is always welcomed and appreciated and makes for a perfect dinner! Very fine food...excellent service...amazing view...highly recommended! Everything was amazing, like being in a fairy tale. Can not wait to go back!